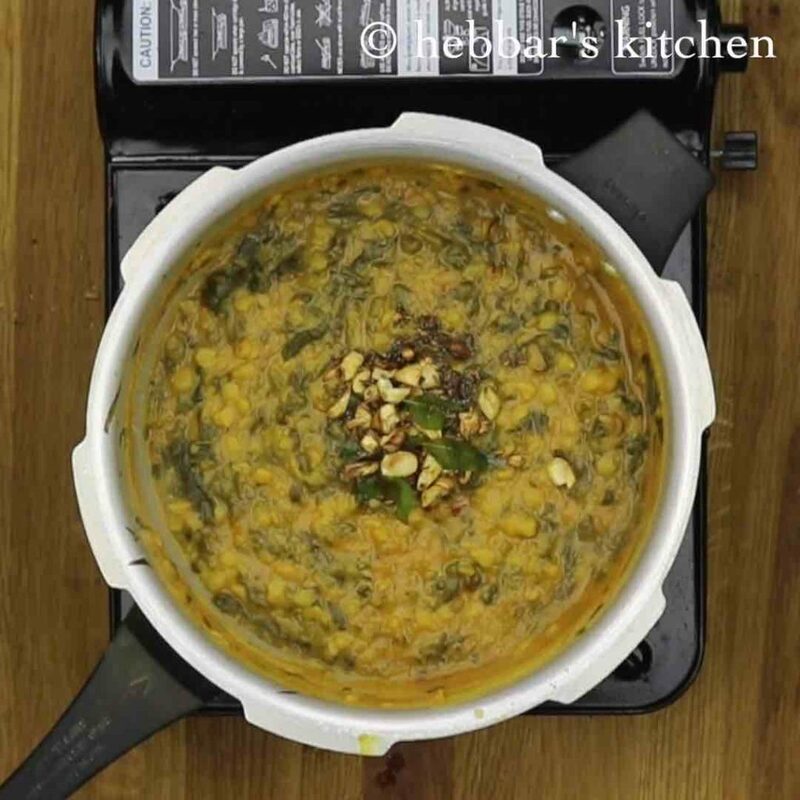 dal palak recipe | spinach dal recipe | palakura pappu recipe described in a step by step photo and video recipe. 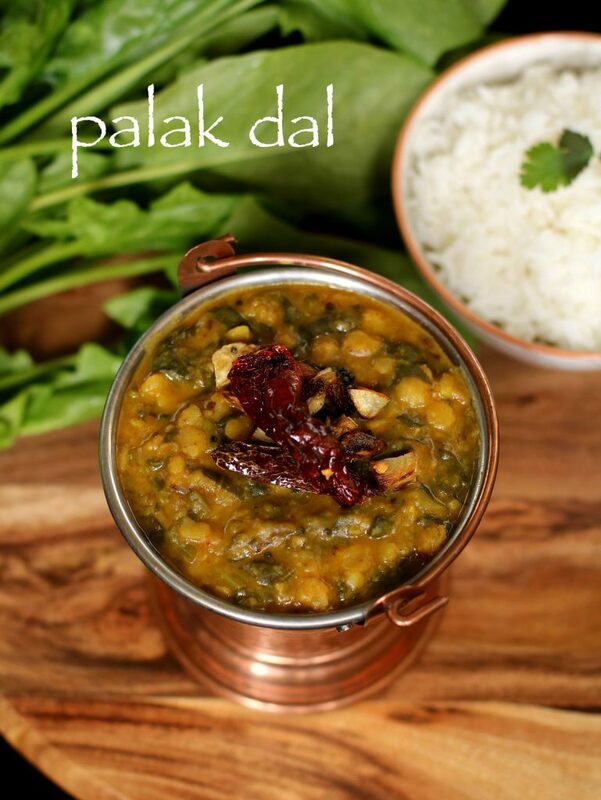 i have prepared the palak dal in andhra style with tamarind which is known as pappu or palak pappu. 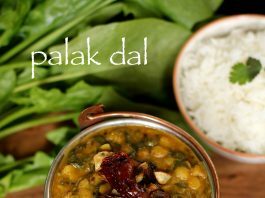 palak dal is a important recipe in our house because of the combination of proteins in dal and vitamins and minerals in palak. being vegetarians, we need a balanced diet to our body with proteins and minerals. according to medicinaltoday, spinach helps to lower blood pressure, improve asthma problems and makes bones stronger. more the greener these spinach leaves, the taste would be amazing. i cook palak dal with english spinach leaves. if you like palak then check my palak paneer, palak tambli. spinach dal goes very well with hot and steamed rice, but we eat with the combination of tambli recipes or with a palya recipes. sometimes i feel lazy to prepare curries for chapathi and rotis, and i just prepare palak dal as curry. the main reason because this dal recipe is thick recipe. clean wash the spinach or palak leaves and finely chop them. 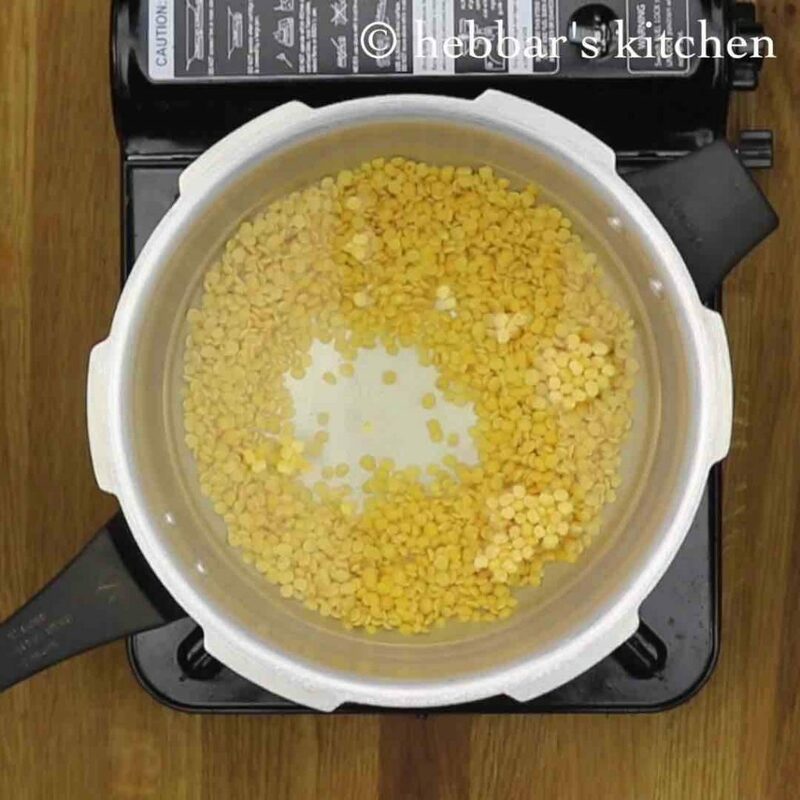 in a pressure cooker, add 1 cup of toor dal and 3 cups of water. now add 1 bowl of finely chopped palak leaves to pressure cooker. add tamarind, curry leaves, green chilli and 1 tsp of oil and mix well. 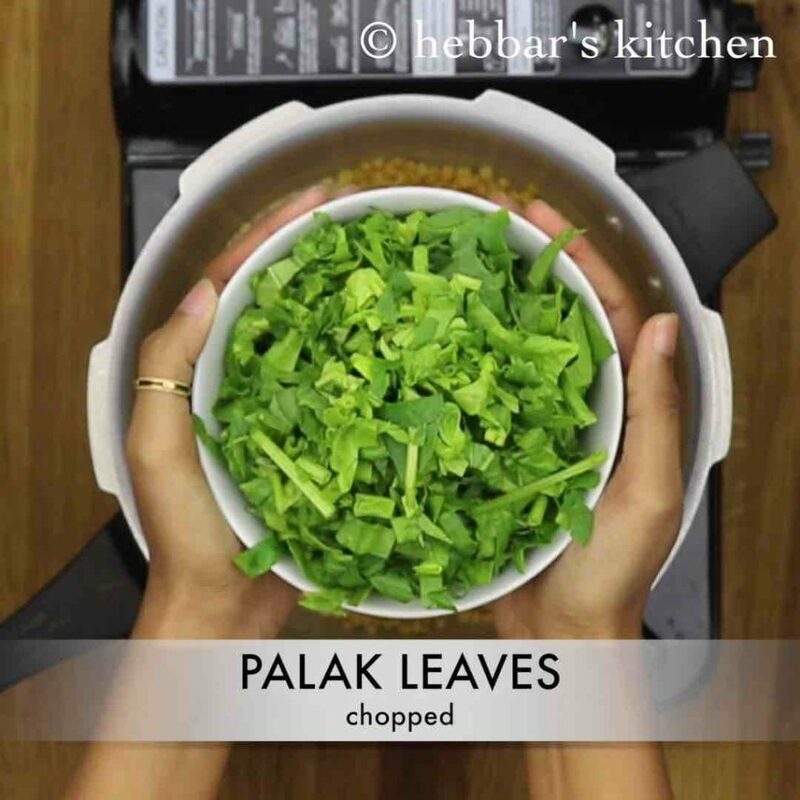 make sure all the palak leaves are properly dipped in the water. add a cup of water if required. 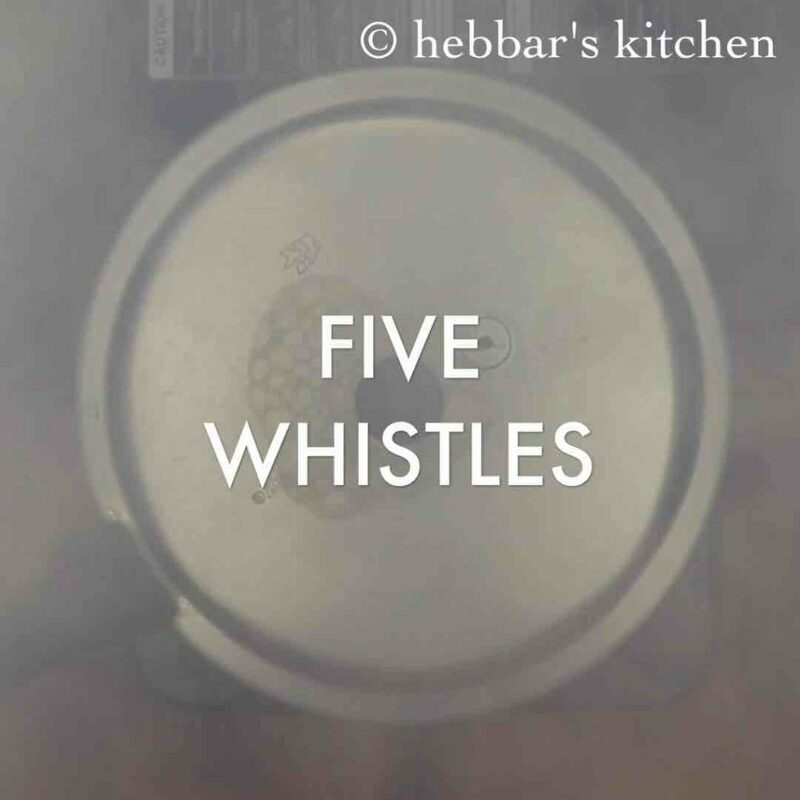 close the lid of pressure cooker and cook it for 5 whistles. 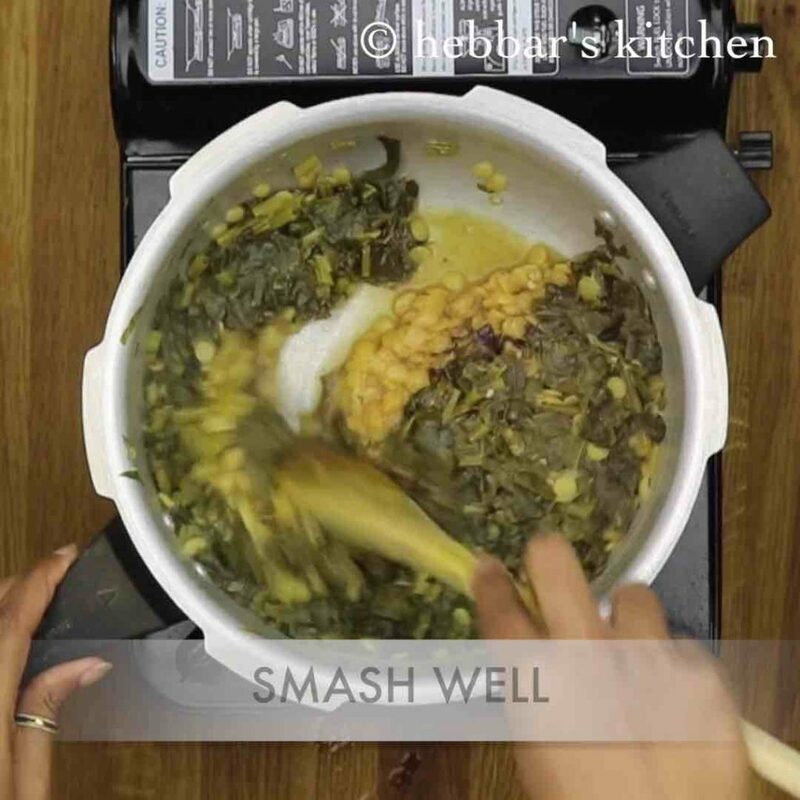 once the pressure from cooker releases, open the lid and smash the dal well. simmer it in low flame. 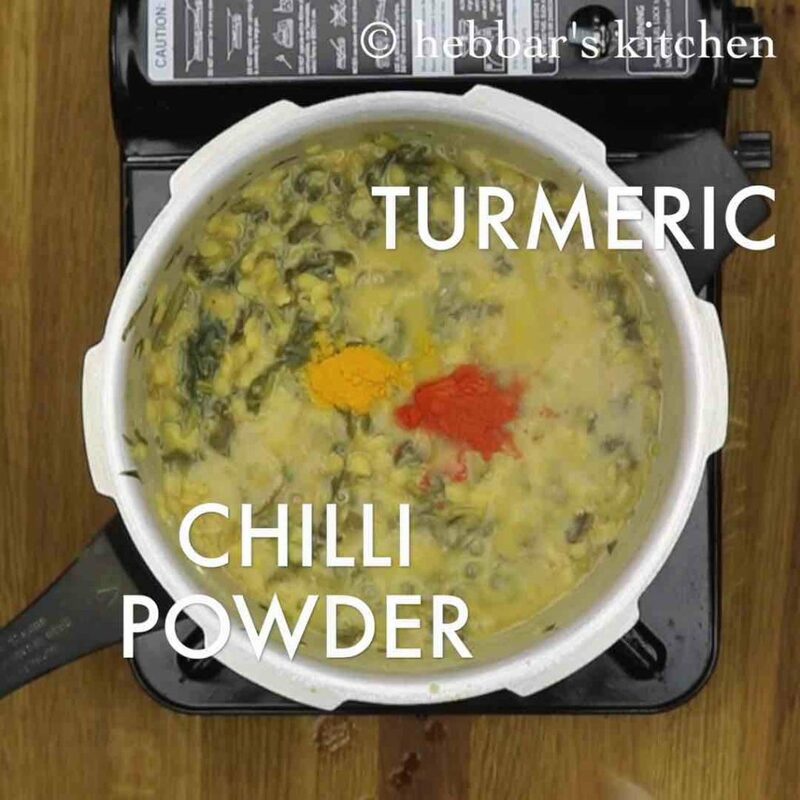 now add turmeric, chilli powder and salt. mix it properly and keep it aside. 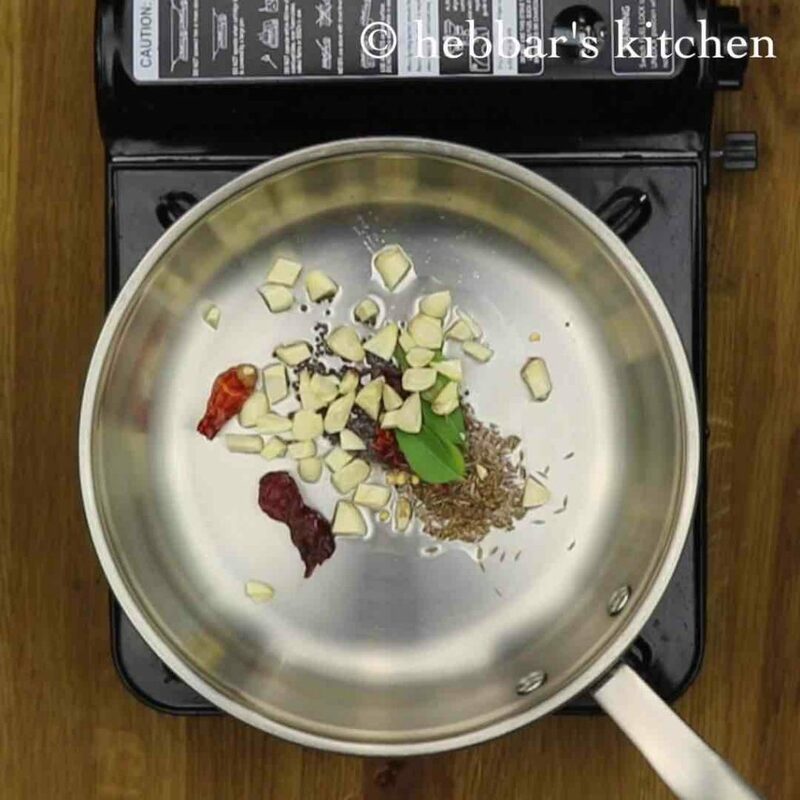 in a frying pan take some oil and add all the seasoning ingredients mentioned in the recipe card. 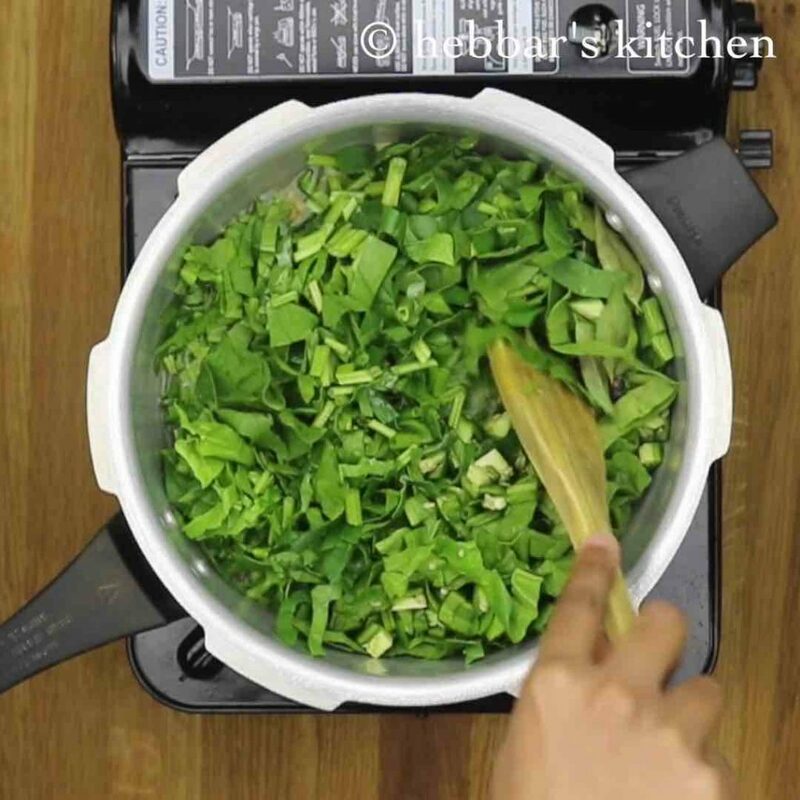 once the garlic turns golden brown, mix the seasoning ingredients to palak dal. give a good stir to palak dal. 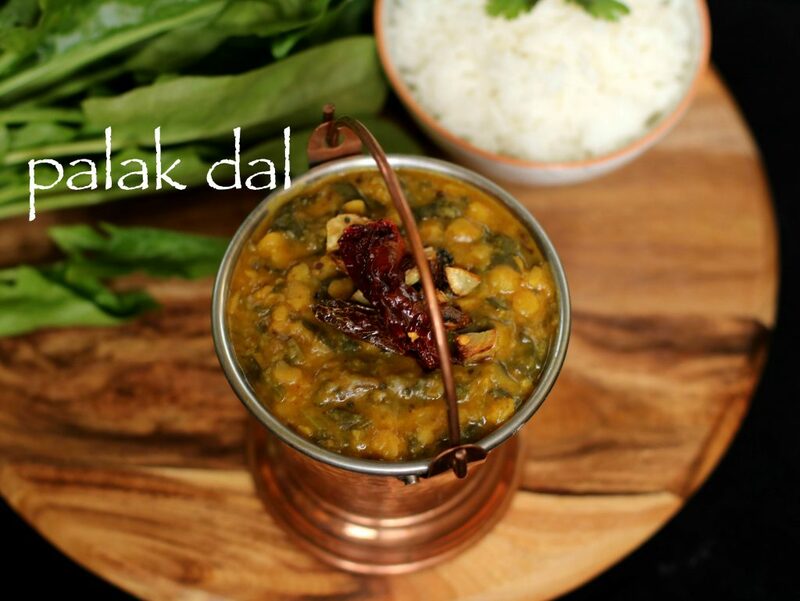 your palak dal is ready. serve with hot steamed rice or with rotis. if you do not have tamarind, squeeze some lemon drops. wash you dal properly before using it.